Since 1893 excavations by six different archaeologists at Vravron on the east coast of Attica have uncovered 37 Mycenaean tombs. The excavations, carried out by Stais (1893), Theochares and Papadimitriou (1955–1956), Verdelis (1965–1966), Themelis (1972–1973) and Kakavoyanni (1984), were not fully published and not all were well documented. 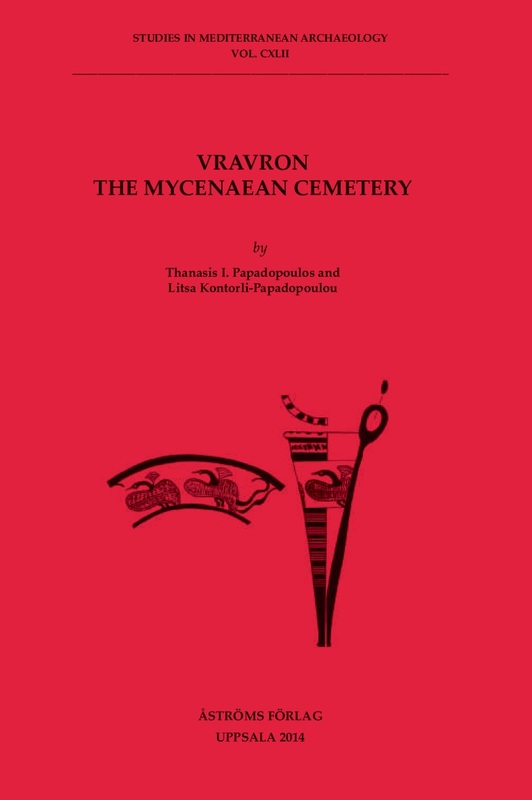 This volume is the result of extensive archival research in the Museum of Vravron, the National Museum of Athens, the Archaeological Society of Athens and the excavation diaries and preliminary reports. The authors present a thorough description of the tombs and their contents and detailed discussions of the pottery, figurines, metal and other finds. Despite some loss of detail regarding the location, architecture and context of recovery of many tombs, the documentation and publication of these assemblages are valuable in their own right. The richly illustrated volume includes line drawings of over 300 pottery vessels and other objects, as well as 100 black and white and four colour plates. Antiquity, Volume 90, Issue 349, February 2016, pp 256 - 258. American Journal of Archaeology (AJA), Vol. 120, No. 3 (July 2016).